Monday – 7:00 a.m.-4:00 p.m.
Tuesday – 7:00 a.m.-5:00 p.m.
Wednesday – 7:00 a.m.-5:30 p.m.
Thursday – 7:00 a.m.-5:00 p.m.
Friday – 7:00 a.m.-3:00 p.m.
Monday through Friday: 7:00 a.m.– 6:00 p.m.
Monday from 7:00 a.m. to 4:00 p.m.
Tuesday from 7:00 a.m. to 5:00 p.m.
Wednesday from 7:00 a.m. to 5:30 p.m.
Thursday from 7:00 a.m. to 5:00 p.m.
Friday from 7:00 a.m. to 3:00 p.m.
Outpatient registration can be done by phone. Monday through Friday: 7:00 a.m. – 6:00 p.m. Patients registered by phone need to call at the Central Reception Desk within its opening hours, right before the visit at the clinic, to have their documents verified. Monday through Friday: 7:30 a.m. – 5:30 p.m.
Monday through Friday: 8:00 a.m. – 3:00 p.m.
Monday through Thursday: 8:00 a.m. – 2:00 p.m. 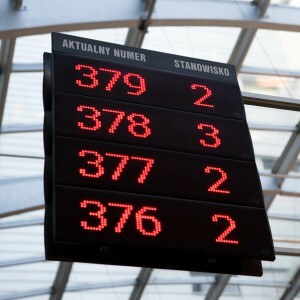 Patients registered by third parties need to call at the Central Reception Desk within its opening hours, right before the visit at the clinic, to have their documents verified. When registering for a pre-scheduled ambulatory procedure or admission to a hospital ward, over-the-phone registration is not accepted; patients are required to call at the reception desk in person on the day of procedure or admission. In the case of a dressing change, test results collection, follow-up visit or stitches removal, time has to be booked at an indicated clinic. Referrals are not required from persons with special health care entitlements (war-disabled persons, politically persecuted persons, war veterans, military invalids, authorised soldiers or workers for treatments of injuries and diseases acquired while performing their duties abroad) upon presentation of appropriate documents. In the case of a dressing change, test results collection, follow-up visit or stitches removal, time has to be booked for the above-listed clinics. Monday, Tuesday, Thursday, Friday – 1:00 p.m. – 2:00 p.m.
Wednesday – 2:00 p.m. – 5:00 p.m.
Monday through Thursday: 1:00 p.m. – 2:00 p.m.
Friday 11:00 a.m. – 2:00 p.m.
Monday through Friday: 8:00 a.m. – 2:30 p.m.
Wednesday – 7:30 a.m. – 5:30 p.m.
Thursday: 7:30 a.m. – 5:00 p.m.
Monday: 11:00 a.m. – 2:30 p.m.
Tuesday: 12:00 a.m. – 2:30 p.m.
Wednesday: 8:00 a.m. – 11:30 a.m.
Thursday: 12:00 a.m. – 2:30 p.m.
Monday: 8:00 a.m. – 10:30 a.m.
Tuesday: 8:00 a.m. – 11:30 a.m.
Wednesday: 12:00 a.m. – 14:30 p.m.
Thursday: 8:00 a.m. – 11:30 a.m.
Friday: 12:00 a.m. – 1:30 p.m.
Tuesday through Friday: 8:00 a.m. – 1:00 p.m.
Monday through Friday: 1:00 p.m. – 2:30 p.m.
Monday through Friday: 8:30 a.m. – 1:30 p.m.
Monday, Tuesday, Thursday, Friday: 8:00 a.m. – 2:30 p.m.
Wednesday: 8:00 a.m.– 5:00 p.m.
Tuesday and Thursday only: 2:30 a.m. – 5.00 p.m.
Monday: 9:00 a.m. – 10:00 a.m.
Tuesday: 8:30 a.m. – 10:00 a.m.
Wednesday: 8:30 a.m. – 9:30 a.m.
Thursday: 9:00 a.m. – 10:00 a.m.
Friday: 8.30 a.m. – 9.30 a.m. and 4.00 p.m. – 4:30 p.m.
• Monday through Friday: 8:00 a.m. – 2:30 p.m.